You’ve probably heard about Seagull Guitars from a friend who was very pleased with his new S6 or Merlin, so we’ve decided to intrigue you a little bit more. Seagull is, basically a relatively younger brand which specializes in manufacturing premium-quality acoustic and acoustic-electric guitars. Today we’re going to talk about them, and some of their most interesting picks in various spheres (top acoustic-electric, top 8-string, and so on). Without any further ado, let’s get straight to it. Click Here to Jump to The 10 Best Seagull Guitars. Seagull, or Seagull Guitars, is a Canadian company which produces guitars of world-class renown. They are technically sub-brand of the even more famous Godin Guitars brand which was founded approximately a decade earlier. This brand found its form under Robert Godin’s wing some 36 years ago in 1982. Originally from Canada, they started out in a tiny village of La Patrie in Quebec. After almost four decades of existence, they boast a wide assortment of high-quality acoustic and semi-acoustic guitars. Let’s talk about their guitar series in the section below. You can scroll down past the series section to see examples of the different types of guitars. Generally, Seagull has released a total of nine series of guitars up to date, including Artist, Maritime SWS, Performer Flame Maple, CoastLine, S6, Entourage, Walnut, and Excursion. It’s hard to decide which series is their best, although it’s safe to say that with such a huge catalog of quality guitars there’s something for everyone. The Artist series’ most famous models are Studio CW element, Peppino Signature Bourbon Burst, the Mosaic Element, Cameo CW element, and original Mosaic. This generation is rather plain in general, with exceptions being the Studio Concert Hall and Peppino signature (which stand out from the rest by featuring a beautiful outward appearance). Seagull described this series as “classic in approach, modern in sound and fabrication”. We agree in full, as models such as CW GT and Concert Hall rock an old-school design. The sound and durability of the guitars from this series, on the other hand, are something to marvel at. All of the models except the SWS Burnt Umber look as straightforward as can be and pack a wonderfully balanced soundstage with somewhat pronounced middles. In essence, this is a small generation of premium-quality guitars comprised of only three models. Here you’ll find Performer Cutaway mini-jumbo flame maple, Performer CW Concert Hall Burnt umber, and Performer CW Flame maple QIT. Just like the name implies, the Performer flame maple is your best choice if you’re a live performer, or at least if you consider becoming one. Now, CoastLine is a big generation of relatively minimalistic guitars. You’ll find the Cedar 12, Cedar 12 QIT, Cedar Folk, Cedar Folk QIt, Cedar Grand, Grand QIT, and Momentum here, all of which sport a straightforward appearance and a formidable feature outfit. 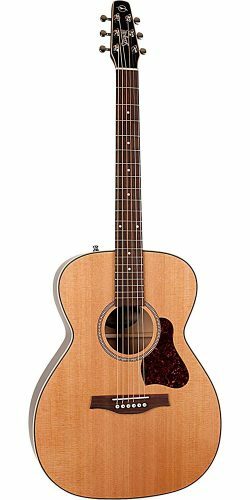 Possibly the most successful Seagull series, the S6 houses some of the finest acoustic guitars available for the money, including the S12 Concert Hall CW, S6 Cedar Original slim, the Original slim QIT, and, of course, the S6 original true to form. While S6 is the most popular series, the Entourage rocks some of the most beautiful Seagull guitars, such as the Autumn Burst, Grand Natural, Folk, and such. There are several models in this series that certainly deserve all the attention they’ve received, but we’ll talk more about them in the sections below. 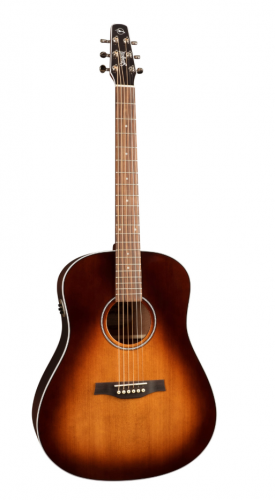 A reputable series of all-walnut acoustic guitars, this generation sports only four models. There’s the Walnut, Walnut 12, Walnut ISYS T, and the Walnut 12 ISYS T. The only thing that you should know about this series is that these guitars are made of highly robust tonewoods. Seagull isn’t an old brand, but it’s safe to say that Godin wanted to preserve the traditional sound and design of his guitars, which we can clearly see with the S6 original. This particular model was released at a certain point in time somewhere around the 1990s, when it flocked the markets worldwide. It was a relatively cheap guitar of formidable quality, made of selected tonewoods which offered great sound and sturdiness. Even today the S6 is among the best Seagull guitars you’ll find on the market. 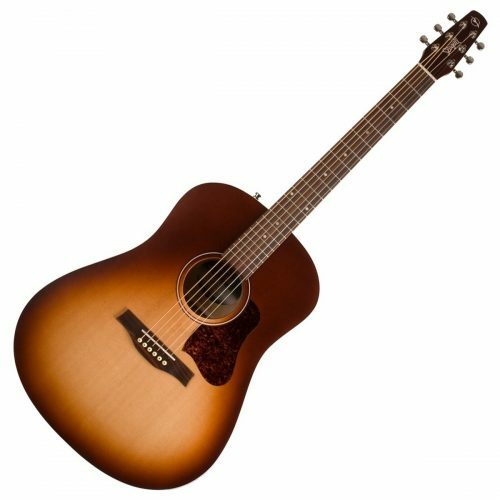 The Seagull S6 original sports a solid Cedar top, a double-action truss rod, a Tusq nut, a compensated saddle, and a tapered headstock. Judging by its features, the S6 original offers great intonation, a stable soundstage with clearly noticeable mids and not-overly-pronounced highs. Initially, we thought that Seagull’s engineers made at least a dozen adjustments over the years, but it seems that the original S6 is, well, the same as the original. On a side note, S6 is also the most famous guitar Godin ever made (or instructed to be made). Though it does rock a huge amount of renown, S6 Original earned every bit of fame it received. So, we think that it’s beyond obvious that our first impressions were positive, to say the very least. To top it all, you’ll even get a gig bag for free! Although gratis features are quite common with brands as popular as Seagull, they certainly come in handy, even if you already have the gear you need. Before we get to the actual pros of Seagull’s S6 original, let’s point out two things in which it excels the most. First, it sports a remarkable build, and second, it’s quite cheap considering the benefits it brings to the table. Let’s talk about its build for a while. Now, it’s only natural to expect a certain level of sturdiness from a mid-priced guitar such as S6, but it’s safe to say that this particular model is as robust as they make them. Apart from being able to withstand some serious punishment, the S6 Original doesn’t compromise between sturdiness and sound, rather it melds the aforementioned qualities in a perfect blend of near perfection. As we said, the intonation is great, and the same can be said about action. The S6 will be as valuable to a beginner as it would to a seasoned veteran. The sound is also over the top, although its sound signature is a bit more on the neutral side when compared to other Seagull guitars. 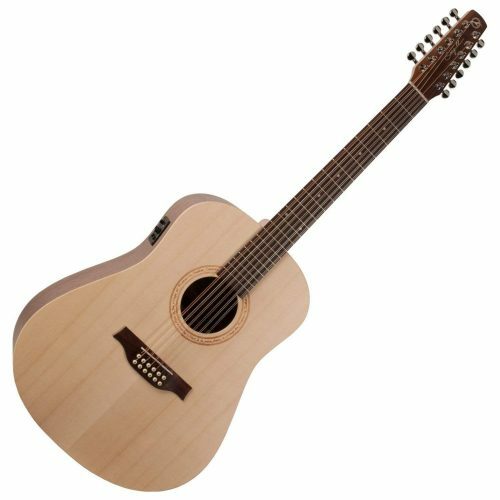 Overall, this is a balanced, well-rounded acoustic guitar suitable for virtually all guitar players. Now, despite our efforts to find what S6 was missing, we failed to find an actual flaw. There were a couple of hiccups, meaning that some things could’ve been done differently, but still they shouldn’t be considered as deal breakers. For instance, the slightly larger nut this guitar comes supplied with might or might not be to your liking. Namely, the nut affects the overall playability (though only slightly), and with S6 it means that you’ll have an easier time playing standalone notes while you’ll have an (again, slightly) difficult time grabbing the chords. 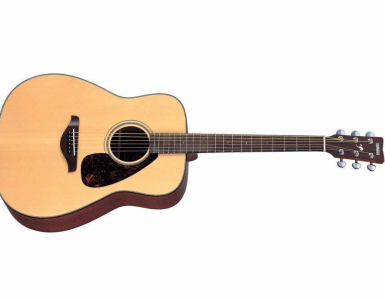 Seagull’s S6 Original is an acoustic guitar which belongs to the “moderately expensive” price point category. It’s definitely not cheap per se, but it doesn’t cost an arm and a leg. As for its value, you’ll need to scrounge the market far and wide if you want to find a better guitar for the buck. By now you should have a clear picture of the S6. It’s our top choice for a reason – it doesn’t cost much, it sounds remarkably well, and it rocks a great level of intonation and durability. All things considered, you simply can’t make a mistake if you decide to give it a go. Next up is Seagull’s Entourage Autumn Burst guitar. As classy as the original S6, the Entourage is still different enough to deserve the second spot in our Seagull Guitars review. There are plenty of things you’ll like about it, such as the remarkable neck build, exceptional quality of tone, and, of course, the breathtaking aesthetics. In a nutshell, the Entourage is a wonderful guitar all around. It’s made of handpicked tonewoods, including Cedar, wild cherry, and rosewood, it boasts superb playability, and it’s slightly cheaper than our top pick, so feel free to consider it if you’re on a tight budget. At first glance, Entourage looks plainly amazing. The Autumn Burst finish helps it excel in aesthetics like no other, and you just can’t feel indifferent about how it looks. Regardless, we are (and were) mainly concerned with the quality of this guitar in general – its durability, playability, sound, and so on. 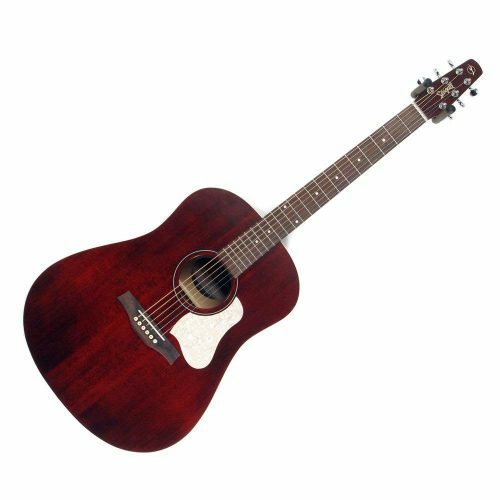 Entourage features a Solid Spruce top, both back and sides are made of wild cherry, it sports a tapered headstock, Tusq nut, as well as a compensated saddle, and a dual function truss rod. Overall, this is a great set of features. After reading the price tag, we immediately assumed that Entourage is at least a level below the Original S6. Our initial assumptions proved to be correct, even though saying “a level” might be too harsh. This guitar is slightly flimsier, its sound is a bit different, although we can’t say “worse” or “not as good” with a clear conscience – just different. Entourage appears to be perfect for intermediate level players, even beginners considering how great its playability is. Overall, our first impressions were that this guitar is valuable, and it certainly does a major punch for the cash. Entourage offers a different sound – you might love it, you might not like it as much as the rest of us, but you certainly can’t hate it per se. With excellent reverberations and sustain aplenty, Seagull’s Entourage will definitely take you on an exquisite journey. Now, let’s talk about its durability. We did say that Entourage is a bit flimsier in comparison to S6 original, but the latter had set the standard pretty high up. With that in mind, know that this particular model sports a durable, sturdy build all around. What speaks volumes about Entourage’s sturdiness is the fact that the neck was set into the body, rather than glued to it. This means that you’ll get to play it for longer before warping starts kicking in. Furthermore, the finish was applied thinly, so as to allow the reverberations to reach their full potential without impeding up them. The only potential issue you might experience with Entourage is the peculiar sound it provides. As we’ve mentioned in the sections above, you’ll either love it or you won’t. If possible, make sure to try it out, or at least search the internet for people who’ve played it live so you can decide whether or not you like the tone. Seagull’s Entourage belongs to the bottom bracket of the “moderately expensive” price point category. Though it is in the same price range as the original S6, it’s substantially more affordable and almost equally valuable for the money. One thing is certain – if you like how it sounds, Entourage is a keeper, no doubt about it. 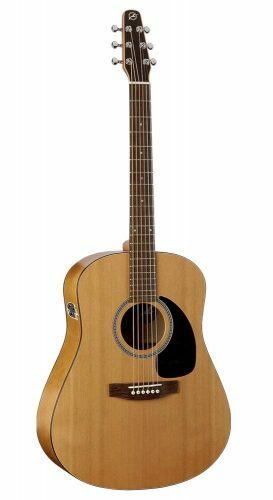 This is one of the best Seagull guitar models this brand has introduced to the moderately expensive price range, and even if you’re low on cash, saving up for it won’t take too long. We’ve seen the S6, we’ve discussed the Entourage, and now it’s time for something a bit different. 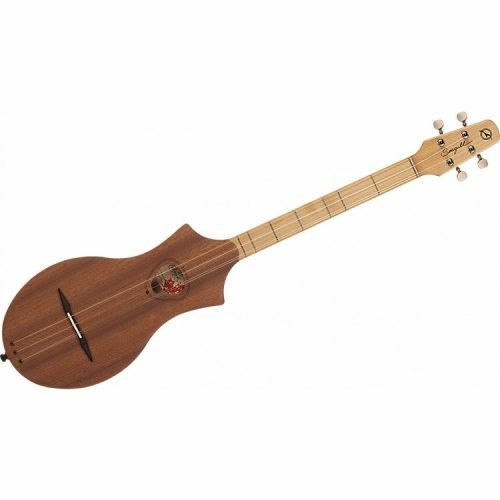 Seagull’s so-called “Merlin” is a Dulcimer-like 4-string guitar. Some people are calling it a ukulele, others refer to it as a bass-like instrument, yet in truth, it bears the most semblance with a guitar; give or take a few strings. Truth be told, we were very thrilled to give this one a go. Four stringed guitars are quite rare, and this one’s been made by no other than Seagull, so we thought it will be fun, to say the very least. What we didn’t know is that this guitar actually provides a sound which is akin to a real acoustic (perhaps classical) guitar. It packs a top made of solid mahogany, a string-through-body made of rock maple (the same goes for the neck), a Tusq nut, and a Satin finish. Though it looks intriguing and exquisite, its real virtue is its compactness. This is one of the smallest guitars Seagull ever made, but that doesn’t stop it from going toe to toe with its full-string brethren. If you’re an immediate beginner, it might take a while before you get to appreciate the mellow sound Merlin provides. On top of that, what you’ll like straight off the bat is its absolutely unparalleled playability. Despite the fact that there are fewer strings onboard, the frets are pretty big, and the gaps between strings are more than adequate. Like we’ve mentioned earlier, Merlin’s forte is its portability combined with compactness. It won’t take up too much of your space at home, and you can easily carry it with you wherever you go. Perfect for trips and vacations, among other things. There’s just one problem with dulcimer style guitars – they seldom stay in tune for long. Regardless of the fact that Seagull implemented all the technologies they could on Merlin, the intonation is the only sphere in which it’s lacking. Seagull’s Merlin belongs to the medium bracket of the “affordable” price point category. Though it costs just a little bit more than a toy-like acoustic practice guitar, it holds a huge value for the buck. It’s a piece of work to tune it up, that’s a given, but once you start playing the Merlin, you’ll understand the full extent of the word “magic”. This guitar is excellent for all sorts of players, regardless of their skill level, and we highly encourage you to try it out. To tell you the truth, most people don’t actually know that there are any differences between Seagull S6 and S6 Q1. Though the similarities they share are more than apparent, there are a couple of things that make them very, very different. Initially, we thought that we were testing out the very same S6, only with a different finish. Now, the aforementioned statement was only augmented by the fact that the sound this guitar provides appears almost identical to the S6 original. What’s more, the main features of S6 Q1 are very similar to that of the S6 original – the top is made of solid Cedar, back and sides made of wild cherry, both the fingerboard and the bridge are made of rosewood, and then there’s the infamous Tusq nut complementing the compensated saddle. So far, we’ve seen no differences. The first striking difference is the fact that S6 Q1 is a semi-acoustic guitar. Now, the original didn’t have this ability, so we’ve concluded that this is the reason why the price tag was a bit higher up. Apart from that, the second difference is the semi-gloss lacquer finish – though it doesn’t affect the performance too much. Plainly put, we loved the S6 Original, so it’s only natural that we simply adored the semi-acoustic variant of such a formidable guitar. In short, we liked everything we did about the S6 plus the ability to be used with an amp. Though we understand that wiring up an acoustic guitar without messing up its performance is tricky business, we didn’t really see the point in it costing so much more. Anyhow, there are no notable flaws, let alone deal breakers apart from the not-so-approachable price. Seagull’s S6 Q1 is the first guitar in our review which belongs to the “expensive” price point category. Though costly, it’s worth every single cent. If you’re a performer whose gigs rely on semi-acoustics, than by all means, give S6 Q1 a shot. If not, then you’ll still have plenty of fun playing with it, although we advise you to consider the original S6 as it costs a bit less. Here we’re looking at yet another variation of the undisputed S6 – the Classical Dreadnought. This is a big one, and it’s different from the original one in more ways than what meets the eye. Let’s take a closer look, shall we? We’ve just discussed what makes S6 and S6 Q1 different since the topic was all but obvious, but that’s not the case here. Even though it’s true that the Classical Dreadnought sports the same pack of features like the original, its design plays a vital role in how differently it performs in comparison to the former. First of all, let’s clear the air with some tech talk. This guitar rocks a non-cutaway Dreadnought body and an exemplary set of electronics. Even though it’s a bit bulky and, perhaps heavy for most beginners, its larger body leaves room for deeper reverberations and more exquisite harmonics. Suffice to say, you’ll love the tone. The acoustics of Classical Dreadnought is phenomenal, but what really takes the cake is the electronic hardware setup. Namely, this is one of the finest semi-acoustic Dreadnoughts Seagull ever invented. As for the usual – the robustness, outlook, and the price – it’s safe to say that all of the performance aspects are on point, to say the very least. Due to its bulky body design, the Classical Dreadnought’s playability isn’t as high as with the rest of the models in our review. On top of that, it’s a bit heavier too. 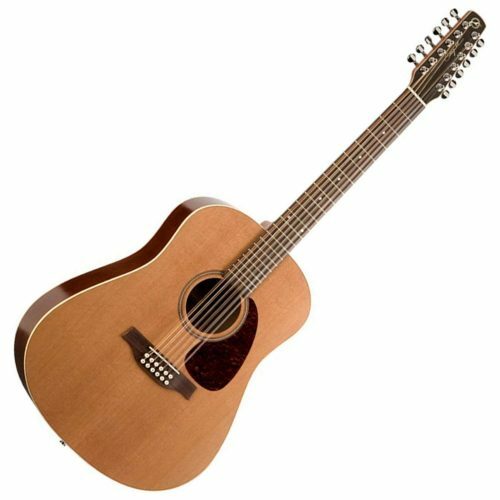 Seagull’s S6 classical dreadnought belongs to the same price point category as the original S6 – the middle bracket of the “moderately expensive” price range. Despite the little flaws, S6 Classical Dreadnought is an amazing guitar. The quality of sound it provides is beyond great, and it’s safe to say that it doesn’t cost all that much. You’ll love it, guaranteed. In essence, Seagull’s Coastline series had earned much praise among advanced and veteran guitar players, and rightly so if we might add. This series houses some of the most innovative acoustic guitar models, among which we’ve picked the S12 semi-acoustic for the purpose of our review. Let’s take a look at what it brings to the table. Generally speaking, 12-string guitars are usually delicate, so we expected quite a few surprises to come our way when we’ve taken a gander at the S12. It sports a dreadnought body, just like our previous pick, the top is made of pressure tested Cedar, both back and sides are made of wild cherry (again, like most S-series seagull guitars), but this time the neck is made of silver leaf maple. The fretboard is made of premium-quality rosewood material and rocks 21 frets. Tusq saddle and nut are also commonly used by Seagull engineers, and the Coastline S12 is not an exception. With a natural custom polished finish, we can safely say that this is one of the most beautiful Seagull guitars ever made. Lastly, this is a semi-acoustic guitar, packing Godin’s QI electronic hardware. The versatility and premium set of features are the things we liked the most about Coastline S12. Even though it’s built in a similar manner to that of most Seagull guitars, there are clearly visible differences that show us Godin has indeed advanced his technologies in the past several decades. What’s more, the electric component of S12 is top-shelf, to say the very least – the equalizer is fairly easy to use and further boosts the already great level of versatility S12 provides. Generally speaking, this guitar rocks a full, somewhat bright tone, even though it remains true to its neutral sound signature despite the dreadnought design. Last, but certainly not least, this is a bundle, not a standalone guitar. With this purchase, you’ll get a complimentary gig bag, as well as a quality guitar stand, completely free of charge. Well, Seagull just can’t make a bad guitar per se – the only things that S12 lacks are actually flaws that naturally come along the way when you pick a 12-string guitar. Namely, its playability is somewhat reduced due to the fact that a guitar with so many strings is generally harder to play than a normal one. Apart from that, everything checks out. Seagull’s Coastline S12 belongs to the medium bracket of the “moderately expensive” price point category. It doesn’t cost too much, that’s certain, although there are cheaper models to be had from Seagull’s assortment, such as for example Merlin. Though you’ll definitely need some time to adjust to its playability, Seagull’s Coastline S12 is one of the best guitars in the price range. It packs a formidable set of features, including Godin’s premium QI electronic hardware, and you’ll get a couple of bonus features for free. In a nutshell, this is a bargain worth considering. We’re moving on to yet another premium Seagull guitar from the Coastline series. This time we’ve taken a gander at the Coastline CH Momentum, and though it does bear much semblance to most guitars we’ve covered so far, its value greatly surpasses its price. Let’s see what’s so cool about it. Both the price tag and the main specs outfit remain the same as with the original – the top is made of solid cedar, the back and sides are made of wild cherry, although this time around the cherry is not tinted like it was with earlier Seagull guitar models. This was, presumably, done so as to accentuate the beauty of the grain of tonewoods. Just like the previous Coastline model, this one also features a silver leaf maple neck integrated, not glued into the body. It’s slightly wider than a neck of virtually all Seagull guitars, improving the unmatched playability these guitars boast. You already know what the other features are – Tusq nut and saddle, rosewood fingerboard, and so on. Now, we were quite surprised to see that Godin used a different electronic hardware set for the Coastline CH Momentum. This time around, they implemented the Sonitone hardware system which is, suffice to say, beyond formidable considering the price range. Laymen and beginner guitarists wouldn’t notice the difference between Momentum and, for example, Classical Dreadnought, or S12. This particular model boasts a Concert body type which is absolutely ideal for live performances. Furthermore, it packs a great set of electronics to spice things up even further. Now, what we really liked about the Momentum is its outstanding playability. As you’ve probably figured by now, most Seagull guitars are very fun to play, but the Concerto variant – the Momentum, is undoubtedly the most playable Seagull guitar so far. Minor tweaks to the back and sides of this guitar are a welcome change to its appearance, but that’s, after all, a completely subjective matter. There’s just one thing we didn’t like so much about the Momentum CH. Namely, the string action is a bit too high, especially for beginner guitarists. There are means to lower it, however, although it’s a bummer that Seagull engineers didn’t do it themselves. Perhaps they purposefully intended this guitar for more seasoned players? Seagull’s Coastline CH Momentum belongs to the medium bracket of the moderately expensive price point category. Basically, it’s a highly valuable guitar for the buck – it packs a set of great features and offers a pleasant, warm tone. A Concert-size acoustic guitar is, by default, preferred by advanced, more serious players. If you’re looking for an upgrade, the Momentum has everything you need, possibly even more. It sounds great, its electric hardware set is absolutely stunning, and for all it’s worth, it looks the part. If you’ve read through the opening lines of our review, you probably remember the Seagull originates from a small place in Canada called La Patrie. That’s also the name of the model we’re looking at right now. The Etude QI is a sort of a rarity, as you’ll have a hard time finding it online. The most likely scenario is that the series is now discontinued, but nevertheless, this gem deserves some attention as it boasts a huge value for the cash. Initially, we thought that La Patrie Etude wasn’t made by Seagull since it wasn’t available on their official site, but after scrounging through the market we’ve found out that our assumptions were incorrect. Basically, La Patrie features a solid cedar top, which is the first clear indicator of Seagull craftsmanship, a mahogany neck, and a fretboard made of rosewood. What’s different about La Patrie is the fact that back and sides are made of laminated mahogany (instead of wild cherry). What’s more, we’ve found Quantum I electronic hardware onboard (the so-called “QI) which is a patented Seagull piece of technology, so there’s no doubt about it – this is yet another fine example of what Godin is capable of. We’ve managed to dig up some very interesting info about La Patrie series. Namely, each guitar from this generation is made of extremely old trees – some of which are even eight hundred years old! That’s, perhaps, one of the reasons why they are such a rare find. On top of that, the lightweight finish boosts the playability which is already great, but what we really liked about this guitar is the unparalleled resonance it offers. Though it might not be as famous as others, La Patrie Etude is one of Seagull’s best sounding guitars. The only issue we have with La Patrie Etude is poor marketing. It’s not as famous as the models we’ve covered so far, and there’s a high chance that you wouldn’t get to hear about it if it wasn’t in this review. Since this is one of the, perhaps, least popular guitars in Seagull’s assortment, it’s only natural that it doesn’t cost as much. Most people would assume that rarities such as Etude should cost at least twice as much as a regular model, but this is not the case here. 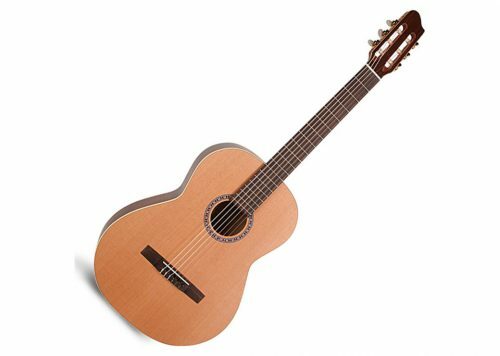 Seagull’s La Patrie Etude belongs to the same price range as the S6 Original, although it comes at a slightly cheaper price. 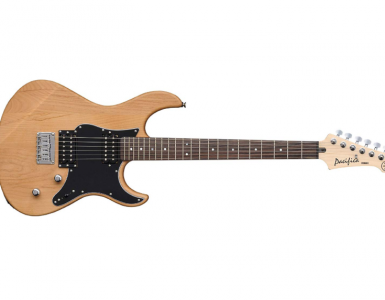 The search was worth it – La Patrie Etude is definitely one of the best guitars Seagull has to offer. Despite its low popularity, we highly encourage you to try it out, as it excels in virtually all fields of performance. We’ve seen the Entourage, the Classical Dreadnought, and, we think that it’s safe to say that S6 won over all of our hearts, but let’s spice it up with a beautiful model from the Maritime series – the SWS Mahogany Burnt umber GT semi-acoustic guitar. The Maritime SWS series has only five models, and we’ve deliberately picked the Burnt Umber GT from the bunch not only because it looks the finest – but it also sounds the best. Since this generation of Seagull guitars is among the latest, we knew that the majority of the features would be the same as with the original – Solid Spruce top, mahogany body, Tusq nut, they’re all there. Now, the fretboard is a bit different – it’s made of exotic Indian rosewood. The same goes for the neck which is made of Honduran mahogany. These exquisite materials atop the semi-gloss custom finish are “responsible” for the amazing outlook of the Maritime SWS Burnt Umber. Its build is quite impressive, and the sound is more than you’d bargain for. The Maritime SWS Burnt umber packs a formidable set of features which provide a well-balanced soundstage. Now, as for the obvious, this model is, subjectively speaking, one of the most beautiful Seagull guitars we’ve had a pleasure of reviewing. The so-called “burnt umber” finish will make your audience (or friends) marvel in awe, and that’s putting it mildly. Truth be told, almost all guitars from the Maritime series are a bit costly, and Burnt Umber is not an exception. The only bad thing is that, though expensive, this guitar doesn’t come with any gratis features, which most of us expected considering the price. Sadly, this guitar costs approximately twice as much as the original. On the other hand, it packs an exotic set of features, it’s more durable, and its peculiar sound will win you over straight off the bat. We deem it more than valuable for the cash, but that’s only our subjective opinion – if you have the cash, though, don’t think twice, as this one’s a keeper. Now let’s face it, this guitar isn’t for just anyone – it’s suitable for players at all levels, sure, but it costs just too much to be your first guitar, or even your second if you intend to practice on it. 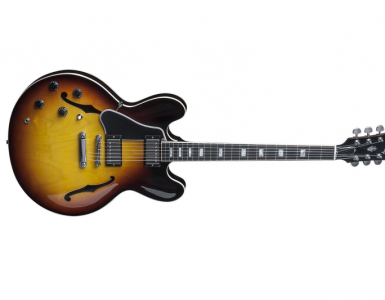 Its playability, as well as the sound, are impeccable and unparalleled, so if you do happen to have the money needed for it, don’t think twice. We’re wrapping up our Seagull guitars review with the Excursion 12-string guitar. Generally, this is an awesome bundle comprised of a high-quality acoustic guitar, a gig bag, and a guitar stand. As far as the guitar is concerned, you’ll see that all of the usual features are there, but we’ve chosen this model for several reasons – it comes with a set of complementary features, it provides a distinctive tone, and it retains all the usual qualities a regular Seagull guitar has. In essence, we’ve already covered a 12-string guitar manufactured by this brand – the Coastline S12. This one’s different, in terms of both aesthetics and performance. This particular model packs three layers of laminated hardwood on top of a silver leaf maple neck, a rosewood fingerboard, and burn stamped rosette. In comparison to the notorious S6 slim, this model has a slightly smaller nut, making it ideal for players who prefer traditionally styled guitars. The semi-gloss finish only contributes to the already great outlook, although this is not the sphere of performance where the Excursion 12-string excels the most. First of all, let’s compare S6 (as our top pick) to Excursion 12-string acoustic guitar. Firstly, we’ll notice that both models pack an almost identical set of features. They also belong to the same price range, and it’s safe to say that their value for the buck is, to say the very least, equal. Now, the first real difference is that the latter comes supplied with an electric hardware element, meaning that it’s more suitable for live performances. On top of that, the Excursion is a minimalistic guitar which is, despite having a set of 12 strings, well suited for guitars of all skill levels –beginners and pros alike. We really liked the complementary features this bundle offers as well – there’s a free gig bag, as well as a guitar stand. Technically speaking, a 12-string guitar isn’t exactly a perfect pick for a complete beginner. Using all twelve strings might prove to be a bit harder than you initially thought, and even though this might be the best guitar for 12-string beginners, its playability is somewhat lower in comparison to other Seagull guitars. On the upside, there are no real deal breakers or potential flaws you should be worrying about – the Excursion 12-string is almost perfect. Ironically, this particular model belongs to the same price range as most Seagull guitars – the medium bracket of the moderately expensive price range. Now, why is this so strange? Well, you won’t get a bonus gig bag or guitar stand in most cases, and you still have to pay almost exactly the same. Although this guitar might have a lower playability rating, it still does a major bang for the buck. We suggest you try it out if you’re looking for a quality semi-acoustic 12-string guitar, that is, if you have at least some experience with this instrument. Seagull is a big name, but they’ve earned every bit of fame and renown during the several decades since they were founded. Their acoustic guitars are held in high regard in the circles of professionals and seasoned veterans, but it’s true that beginners love them as well. One thing is certain, though – if you’re looking for quality and have some cash to spend on it, you’re looking for a Seagull guitar.